A state of emergency has been declared for Vanuatu's Ambae Island as a volcano continues to spill thick heavy ash. “The situation is becoming critical in some areas with trees falling and blocking roads,” reports Dr Leodoro, PENAMA Health Emergency Operations Centre, national EMT coordinator. This thick ash, combined with rain from the recent tropical cyclone, has made access by road very difficult for the disaster response teams. “I am confirming that heavy ash fall has caused skin and eye irritations, and exacerbated breathing conditions like asthma,” continued Dr Leodoro, according to Vanuatu Daily Post. Back in September 2017, Vanuatu launched a Dunkirk-style evacuation on the northern island of Ambae as a flotilla of boats rescued islanders from an erupting volcano. 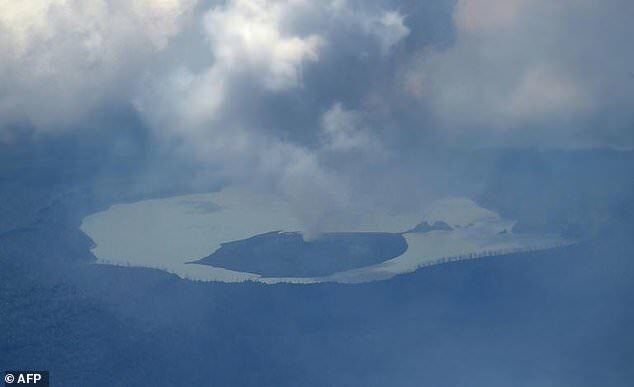 The eruption has polluted many of the island's water sources leaving thousands of people in need of safe drinking water, Red Cross delegate Joe Cropp told Reuters by phone. "Water is crucial," he said.